Love, Simon (film, 2018). A 2018 American romantic teen comedy-drama film with "PG-13" rating by 20th Century Fox/Fórum Hungary. Directed by Greg Berlanti. Official Trailer. Love, Simon is a 2018 American romantic teen comedy-drama film directed by Greg Berlanti. 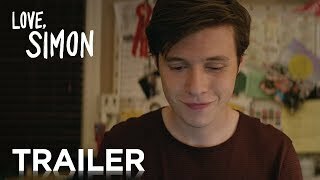 Love, Simon | Official Trailer 2 | 20th Century FOX. 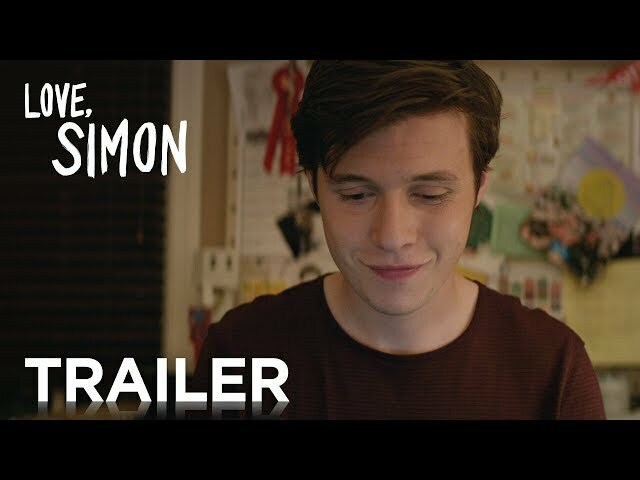 Simon Spier is a closeted gay high school boy living in a suburb of Atlanta, Georgia. He has a close and loving family - parents Emily and Jack, and sister Nora - as well as three best friends: Nick and Leah, whom he has known most of his life, and newcomer Abby. One day, Leah informs Simon about an online confession of a closeted gay student at their high school, known only by the pseudonym "Blue". Simon begins communicating with Blue via email using the pseudonym "Jacques". The two confide personal details and form a connection. However, their emails are accidentally discovered by another student, Martin, who is infatuated with Abby. After learning his secret, Martin blackmails Simon by threatening to make his emails public unless he agrees to help Martin win over Abby. Simon begins to suspect that his classmate Bram is Blue. At a Halloween party, Simon attempts to connect with Bram, but later walks in on him making out with a female student. During the party, Nick confides in Simon of his feelings for Abby. Simon lies to Nick, telling him that Abby has a boyfriend in college. Leah walks an inebriated Simon home, where she speaks vaguely about how she feels that she is fated to love one person very intensely; Simon believes she is referring to Nick. Simon meets up with Abby and Martin at a local diner after he convinces them to practice lines together for an upcoming school musical. Simon bonds with their server, a classmate named Lyle, and believes that Lyle may be Blue. That night, Simon comes out to Abby and is relieved when she reacts positively. Principal photography began on March 6, 2017, in Atlanta, Georgia. 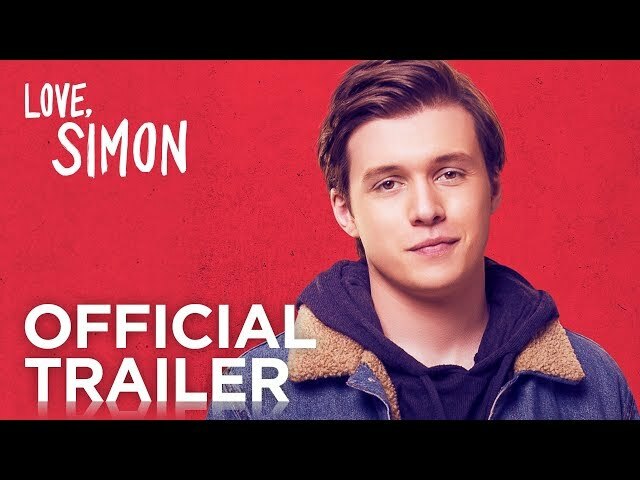 The film Love, Simon was scheduled to be released by 20th Century Fox and Fórum Hungary on February 27, 2018 (Mardi Gras Film Festival), on March 16, 2018 (United States), on April 6, 2018 (United Kingdom), on May 4, 2018 (Finland), on June 16, 2018 (Netherlands), on June 21, 2018 (Hungary) and on June 28, 2018 (Germany). The duration of the film is 110 minutes. With a budget of $10 - 17 million, the film grossed over $66.3 million. Love, Simon got high rating from critics. The audience also likes the film. Audiences polled by CinemaScore gave the film an average grade of "A+" on a scale ranging from A+ to F.